Overview… the wife of Menelaus, king of Sparta. But Sparta was never her true home; her parents sent Helen there when she was 16 to marry Menelaus. 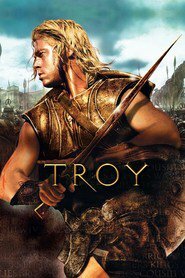 When a handsome and charming Trojan prince named Paris visits, she quickly falls in love and leaves Sparta, stowing away on Paris’ boat during his return voyage to Troy. Menelaus is furious that his rightful property (in his mind) fled, and his honor was thus besmirched. He’s coming for Troy, and he’s bringing 1,000 ships. Personality… hopeful, romantic, and weary. Helen tells Paris that he’s younger than she ever was even though they are the same age. She’s not afraid of dying, she’s afraid of what tomorrow might bring – that, the gods forbid, she might never see Paris again. She never got a chance to be truly herself in Menelaus’ court, and she prays that being with Paris will restore her lifeblood. Helen's popularity ranking on CharacTour is #2933 out of 5,000+ characters. See our top-ranked characters and read their profiles.